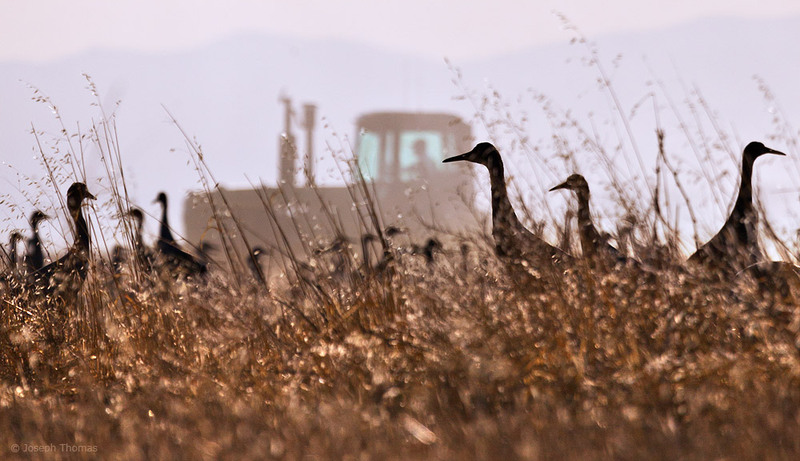 Sandhill cranes feed on the remnants of last season's crop as a farmer plows his field. All too often we hear how humans are wiping out habitat and causing the demise of wildlife in myriad other ways. This photograph demonstrates something all too rare – human activity actually helping rather than hindering the survival of a species.